Sonnet Mediator PowerPC cards isn’t supported officially by Elbox. This Polish Amiga supportive company from Krakow had big plans to release SharkPPC cards for many years now, but they never did a official release. So, Dennis Boom stepped and gives Mediator PowerPC support a big push forward. You can also check out our previous powerpc.library article here. He is making sure that Mediator PCI (gives PCI slots for Amiga 1200, Amiga 3000 and Amiga 4000) users can use Sonnet PowerPC G3 and PowerPC G4 PCI cards. We have been following him and saw on 30th of June that he released an important update for Sonnet PowerPC cards. Amazing! The powerpc.library is a library made by Dennis Boon that you find on Aminet here. It’s a library that interfaces between the CPU and the memory on a Sonnet 7200 G3/G4 or PowerPMC-250 G4 PCI card and the Amiga CPU and memory using the MPC107 chipset on the PowerPC card. It also offers WarpOS compatible functions, which makes the card compatible with AmigaOS 3.1 and up. It’s a great way for Mediator PCI users to run PowerPC apps and games faster if you’ve got Sonnet PowerPC card somewhere. What is a Sonnet PowerPC PCI card? It essentially adds a second CPU to your Amiga through the PCI slot. This being either a 400 or 500 MHz G3 (MPC750), a 400 MHz G4 (MPC7400) or a 450 MHz G4 (MPC7410). Starting with 17.9 800MHz and up (e.g. PPC750FX) is supported. This CPU can be used to run (certain) WarpOS software. this by means of patching the AllocMem(), LoadSeg() and process creation functions (the latter is optional). This way, PPC data and code is pushed to the memory residing on the PPC card itself. This is not 100% watertight and failure of these patches can lead to a DSI/ISI exception or very slow execution of the PPC program. The library interfaces between the CPU and the memory on a Mediator PowerPC card such as Sonnet 7200 G3/G4 or PowerPMC-250 G4 PCI card. Also between the Amiga CPU and memory using the MPC107 chipset on the PowerPC card. 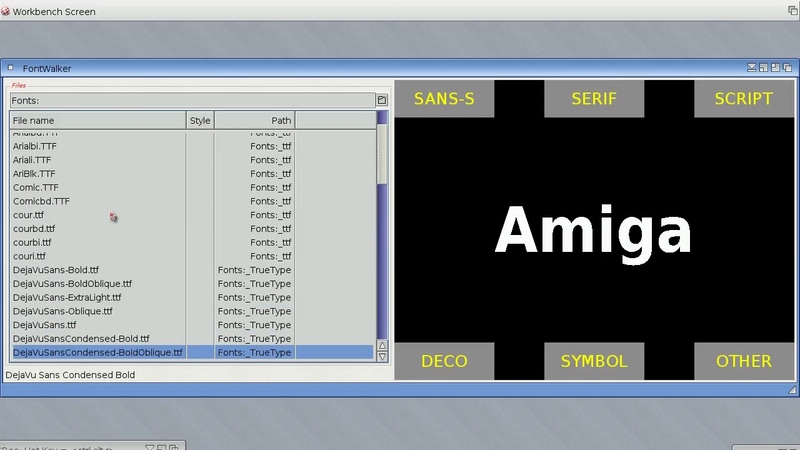 It also offers WarpOS compatible functions to AmigaOS, which gives a nice speedup. WipeOut 2097 WarpOS PowerPC version works as you see without issues on the video above.